Our tour guide leads us down the wide aisle between the two different plots of grapes, teaching us as we walk about the grapes, organic methods of production, watering methods, and harvesting, in addition to the long and interesting history of the winery. It’s more of a crash course in winemaking than a traditional tour and easily the best I’ve ever experienced. Even as we reach the end of our nearly three-hour tour of Alta Alella Privat, I’m still learning something new. Indeed, when I check my watch I’m shocked to find so much time has passed. After a last tour of the production facilities and the cava caves, we are whisked inside for a healthy sampling of their wines and cava. It’s one of the most pleasant afternoons I can recall in my time in Catalunya. Escaping the city to see the real the countryside, to hear its history, and to get to know the ways of the local people is priceless. Given its close proximity to Barcelona, Alella is the perfect place to do it. Catalunya is well-known for its winemaking regions to its south and north, the fertile soils of the Penedes region, just outside of Tarragona, and L’Emporda in the north, where the wind and sea deposit rich minerals into the hardy landscape along the coast. If you ask an outsider how he or she feels about DO Alella, however, you might get little more than a blank stare. Yet, this largely overshadowed winegrowing region only 14 kilometres north of Barcelona has been on the map since Roman times, a fact which any winemaker in the area is proud to point out. It may be a small DO–currently it is home to only eight wineries–but its terraced landscape is home to a wide variety of grapes, among them the Pansa Blanca–also known as Xarel·lo–the grape that puts Alella on the proverbial map. The Pansa Blanca grape is a local classic that finds it way into most of the whites produced in the area. Like other Catalan wine regions, the DO also produces quite a few cavas. It wasn’t until 1953, however, that the region came into its own as a true D.O. In the 1980s, the housing boom transformed the landscape into what you see today, a gently rolling landscape dotted with the bright orange clay roof tiles of the houses nestled into the folds of the Rials Valley. Despite the urban sprawl, many of the original farmhouses (masies in Catalan) that used to dominate the landscape remain and have been largely passed down through the generations into the hands of today’s winemaking families. These beautiful old structures overlook the terraced land that makes up much of the region of Alella. 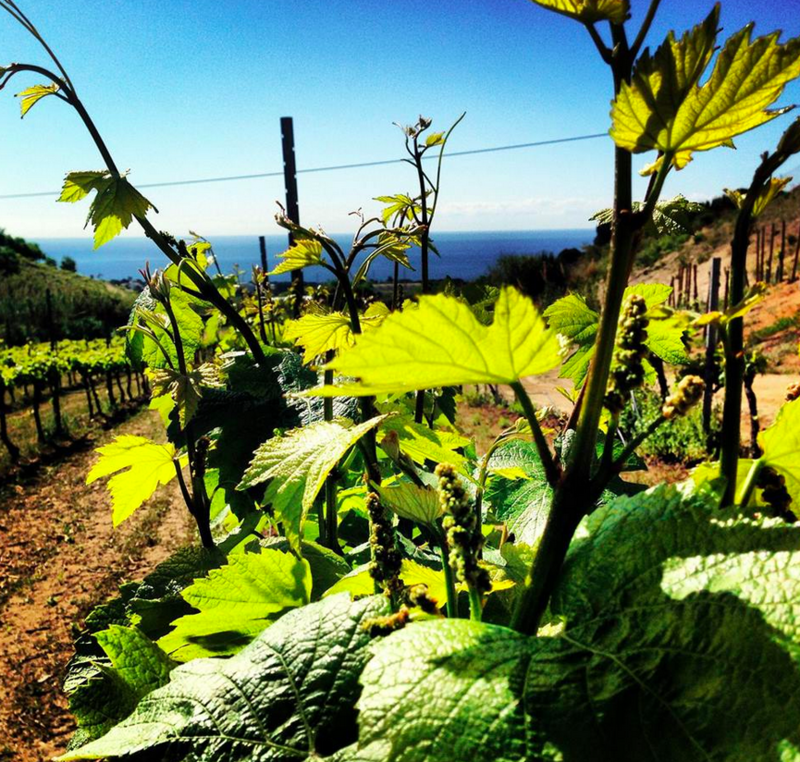 There are several varieties of grapes grown and cultivated in the Alella region. 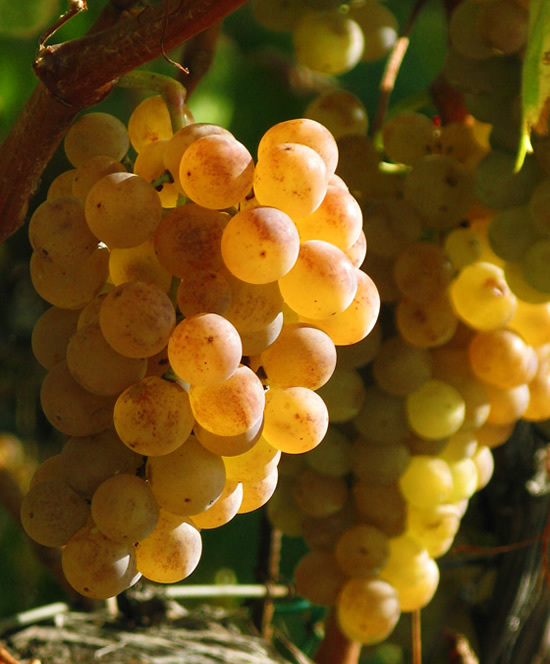 The queen of the region is the Pansa Blanca, the grape that forms the basis for most of the region’s whites. It produces good bodied wines which carry notes of honey, white fruits, ripe grapes, and fennel on the palate. Other white varieties include Garnacha Blanca, Pansa Rosada, Malvasia, and Picapoli, which is also found in the Languedoc and the Rhone Valley regions of France, and often used for blending. The reds are fewer but have a longer tradition in the region. These include Tempranillo, Garnacha Negra, and Garnacha Peluda. The Garnacha grapes are floral and fruity, displaying a palette of aromas of black or red fruits from strawberries to dried figs. While you will find newer grapes that have been brought in from outside of the region–such as Chenin Blanc, Cabernet Sauvignon, Merlot and Syrah–some of the local wineries prefer to focus on the local varietals in order to produce wines, which truly reflect the region’s history and soil. The wineries in the region hosts tastings year round and makes a nice activity if you find yourself looking for an indoor activity on an overcast day. Yet, a walk among the vines on a warm, clear day is highly recommendable. The views are stunning and will give you a new perspective on life along Catalunya’s fair shores. We’ve featured four of our favorite wineries below, so you can get started making your plans to visit this historic region. It’s certainly possible to visit each one, but keep in mind that you’ll need to arrange your visits ahead of time. Alta Alella Privat has the perfect perch overlooking the city from what they call their amphiteatre–a semicircular swatch of terraced land facing the sea. From there, visitors have views of the extensive property that holds each of their seventeen different types of grapes. They use Pansa Blanca grapes as the base for most of their white blends and for their signature line of cavas. In addition, they producing twelve different wines, from white to rose to red, but it’s the prizewinning Dolç Mataró, a sweet red dessert wine, that is one of its shining stars. With such variety on its menu, it’s not surprising that it’s not only one of the largest wineries in the area, but also one of the most experimental. Owner Josep Maria Pujol-Busquets is constantly looking for new ways to experiment, developing new blends that reveal the best of the grapes. In this vein, he and his team have started a new natural line of wines which are organically produced without the addition of sulfites, produced in their new architecturally impressive Cellar de les Aus (Winery of the Birds). 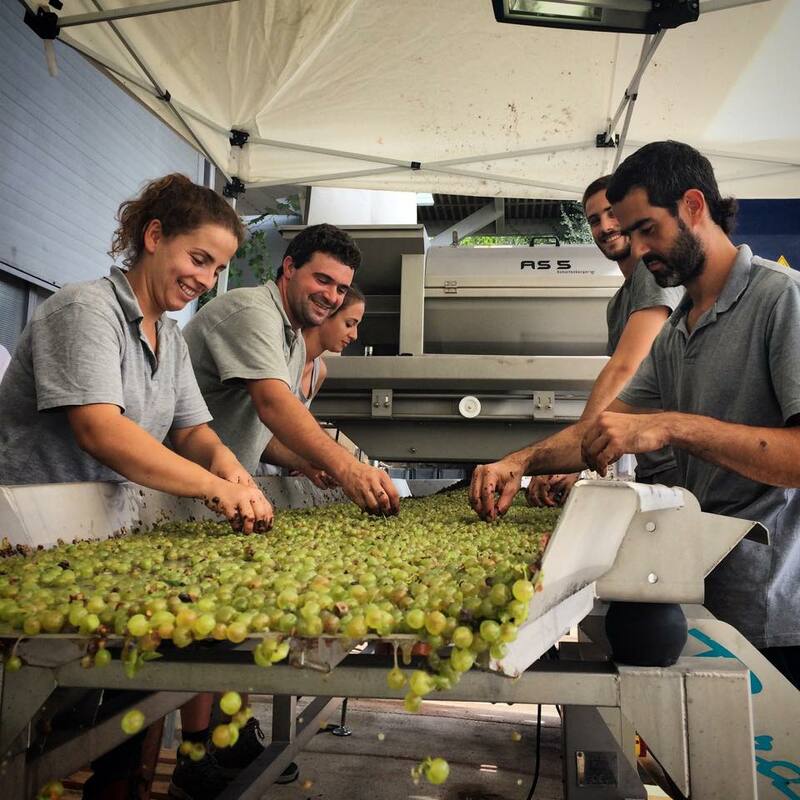 In addition to going on a tour and having a tasting of their line of remarkable wines, it’s recommendable to check the calendar on their website for upcoming activities, which in the past have included cava tastings, showcooking, poetry readings, and brunches. To arrive at Alta Alella, you’ll have to get off in the Alella town center, at Plaça Germans Lleonard, and then walk up from there to the winery. It’s about a 20-minute walk uphill, so it pays to wear comfortable shoes, but the way is well-marked. Bodegas Marfil covers 50 hectares of land across several terraces in the region, allowing them to grow an abundance of different grapes–from both young and old vines–which find their way into one of the over 18 different wines, cavas, and dessert wines they produce. Join them for a guided tour or if you want to get a real hands-on taste of the winemaking experience, you can join them for a full day of events, including harvesting or pruning depending on the season, lunch, and a wine tasting and tour. Other activities they offer include learning about the history of the region through a dinner and tasting in a replica of a Roman table. 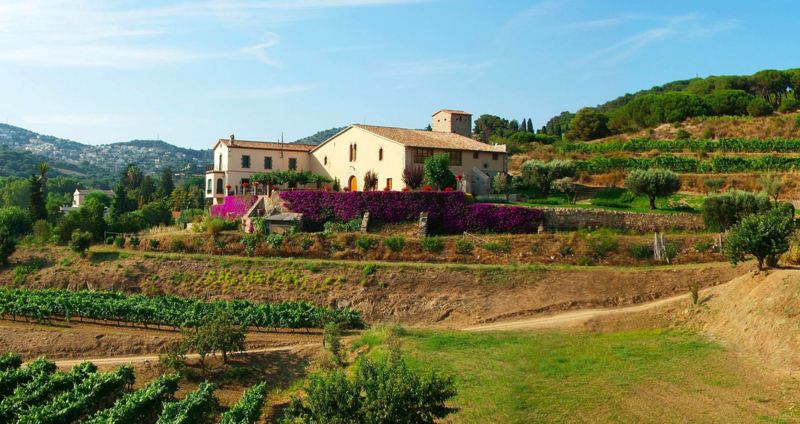 Bouquet d’Alella is a small, family-run winery that offers a small production of wines made from mostly local grapes grown over thirteen hectares of land. The small operation produces five different wines, including two whites, two reds and a sweet wine, all hand corked and hand labeled. You can visit the winery for a tour of their beautiful facility and a simple tasting or you can elect to spend an afternoon with there and have a private picnic on a picturesque rise overlooking the sea. They will supply you with a treasure map to your secluded picnic spot and prepare all you need for a full picnic lunch, with local foods from the area, like cured meats, cheeses, Spanish tortilla, and a bottle of their white. They also host a summer solstice party and live music nights in the terraces. Most people who want to understand the Catalans’ obsession with cava head south towards Penedés to the big houses like Freixenet. If cava is your thing, consider paying a visit to Parxet, a vineyard dedicated exclusively to cava production. With three cavas in their Titiana label and seven in their Parxet label, you’ll have plenty to try. Learn the differences between a brut natur and a brut reserva, try a rosé dessert cava made from 100% pinot noir grapes, or compare a Chardonnay cava to a Pansa Blanca cava. You can even organize a gastronomic tasting held inside their beautiful old farmhouse, Can Matons, pairing delicious local dishes with their house wines. Each of the wineries can be reached by public transportation from Barcelona, although the most direct route, of course, would be by car. The train is a fast and direct way to get out to the Alella region from the city centre. Take the Rodalies train from Plaça Catalunya to the Masnou station. When you exit the train, you will take the stairs down and make a left in the tunnel, toward the water. You will come up to a parking lot facing the marina. Make a right and head to the end of the parking lot. Just to your left, you will see a small bus stop. The local buses (#646 and #690, operated by Sagalés) both run from the marina into the city centre of Alella every half hour, Monday through Saturday. You can use the regular Barcelona metro card on the local buses. There is also an express bus that runs between Alella and Barcelona’s Plaça Urquinaona, with a stop near Sagrada Familia. Depending on which winery you want to visit, you will have to get off at the nearest stop and walk to the winery entrance. Taking a taxi from the Masnou station is a more direct route, but they are quite hard to come by along the main road. It would be best to have someone at the train station call you a taxi if possible or arrange for transport with the winery ahead of time. If you’re needing a customized trip to Alella – exploring the food, wine and culture – don’t hesitate to contact us! We’re more than happy to show you around a hidden gem in Spain! Melissa Leighty is freelance writer and photographer. She has work appearing or forthcoming in Colloquium, Salt, English Journal, The Culture Trip, and All Those. When she's not traveling the globe in search of new tastes and inspiration, you can find her at work on her first cookbook about Catalan cuisine.